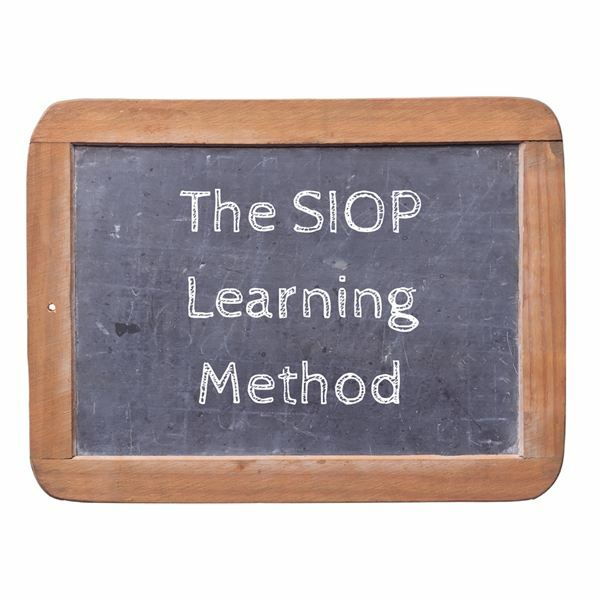 SIOP, which is an acronym for or Sheltered Instruction Observation Protocol, is a way to teach students to learn the English language by using both content and language instruction. There are two main goals of this method of instruction. The first goal is to provide ELL learners with mainstream content, geared toward their grade level, as opposed to watered down content. The second goal is to promote their overall development of English language and their proficiency when it comes to reading, writing and speaking the language. The SIOP method can be used in all content areas. There are ways to integrate SIOP into social studies, math and science, as well as in the ELL classroom and literacy classroom. It can be used in secondary classrooms where there is a foundation of English education. It is intended to engage students in classroom discussion and activities. It is intended to increase reading and writing ability in the English language. It is also used as a socialization technique to help the everyday use of English language. This downloadable PowerPoint presentation will provide educators, administrators and even parents a comprehensive overview of this program, as well as six specific strategies to use in order to ensure successful implementation of this program in classrooms, schools and school districts. Also included are lesson planning tips and advice for departmental-wide planning, in order to ensure that the SIOP method is embraced throughout all the content areas on a grade level or grade levels. It is important to remember that SIOP is more multi-faceted. Its benefit is that by focusing on various curricular topics in a multitude of ways, English proficiency will be achieved.